There are so many ways to prepare chicken 65, each method is entirely different from one another. 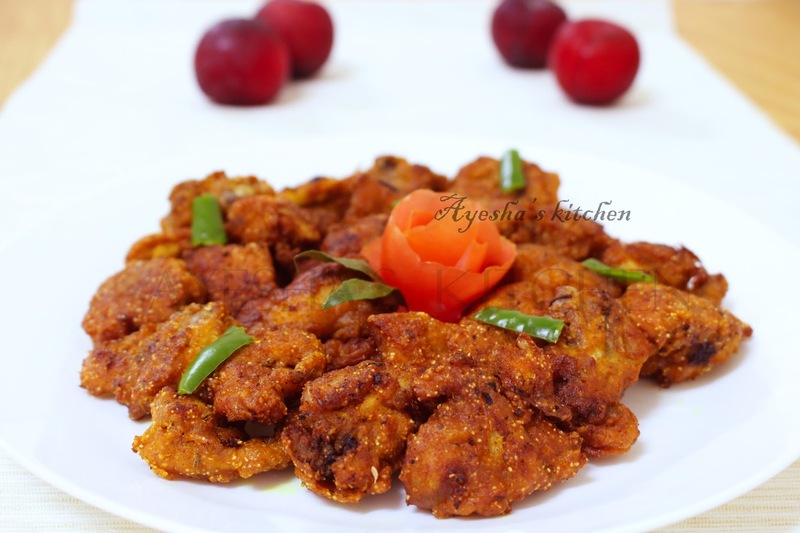 Chicken 65 is a juicy, soft, spicy, crispy deep fried chicken chunks which are served as a starter for any parties. No special introduction is needed for chicken 65, as it is all time favorite for all non-veggies. This recipe for chicken 65 is one of my best chicken 65 recipes without egg and without the all purpose flour (maida). It is juicy, spicy and crispy with a drooling taste that I couldn't express in words. I have tried this recipe a countless number of times and it never turned me down. Most of my friends ask me how to get a soft and crispy chicken 65 and I prefer them this recipe. The use of curd or yogurt makes the chicken chunks soft and tender. And the combination of rice flour, gram flour, and corn flour gives a crispy texture too. And the main secret spice behind this recipe is dry roasted powdered fennel seed which gives a special taste and flavor to the chicken. Hope you all will love this recipe and crave for more. 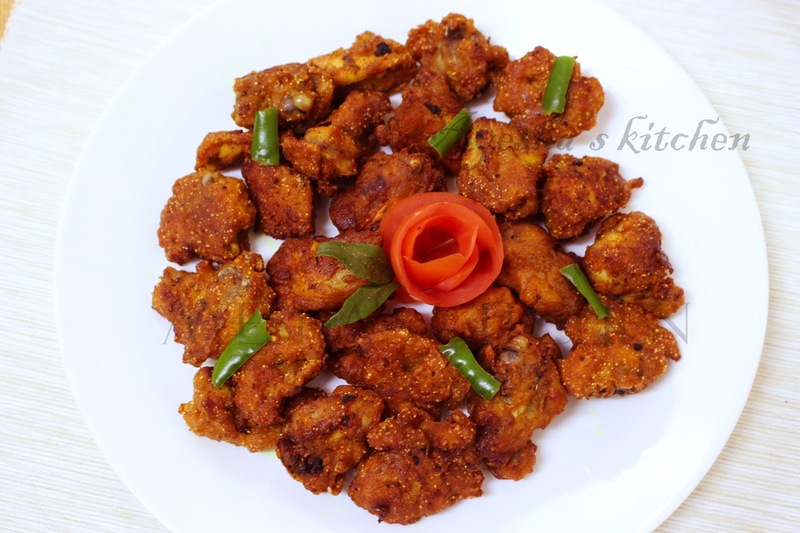 Here is my recipe showing how to make delicious restaurant style chicken 65 / how to make perfect chicken 65 without egg and Maida (All purpose flour). Cut the chicken into very small parts as possible. Boneless chicken is more preferred. But I used the normal only. Make a fine paste of above all ingredients using a grinder (except semolina, coconut oil, curry leaves and salt). The batter must be thick, same like idli batter. Else after frying, it won't seems good. Add required salt according to your taste. Now marinate the chicken pieces with this paste and refrigerate for 15 minutes. ( for the best results refrigerate for half an hour ). Before frying mix the chicken with the semolina / rawa well. Now Heat a deep bottomed vessel and when hot drizzle some salt in the hot oil. It prevents sticking the chicken in the bottom of the vessel. Then put some curry leaves to the hot oil and then put the well-coated chicken pieces and deep fry. Deep fry in a medium flame. Saute occasionally and do not over cook the chicken. Drain the excess oil in the chicken using a tissue. Serve hot with fried rice, chapati, rice etc..